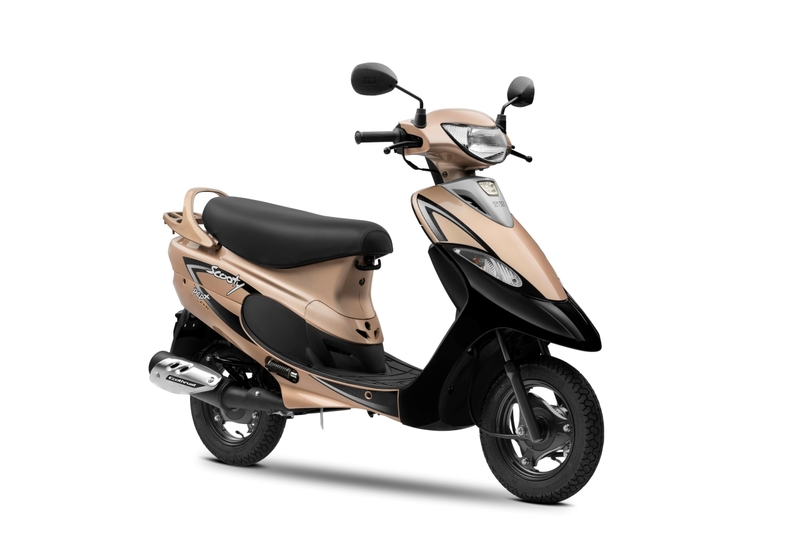 To celebrate the 25th anniversary of the Scooty, TVS has launched the Scooty Pep+ in a special edition model with two new colours options – Revving Red and Glittering Gold. The celebratory edition of TVS Scooty Pep+ dons a unique 25th Anniversary logo and features distinctive graphics to mark the milestone. It is priced at INR 42,397 (ex-showroom Delhi). 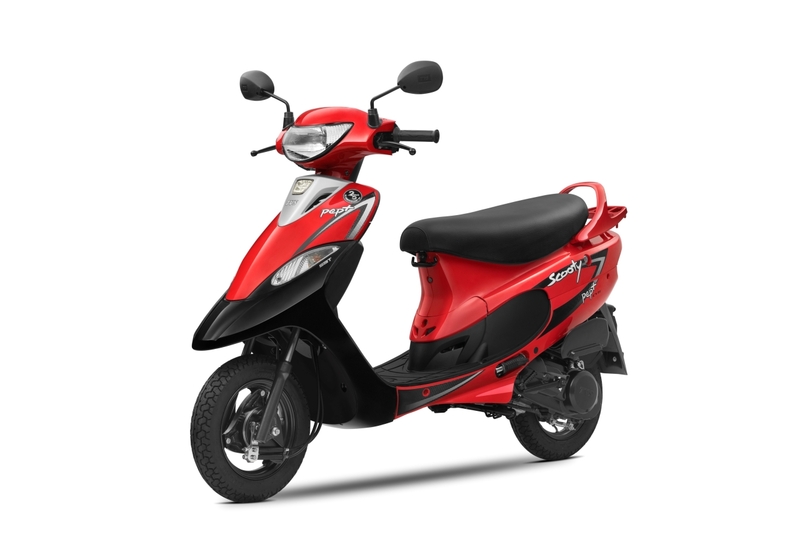 The TVS Scooty Pep+ has received two new colours options – Revving Red (pictured) and Glittering Gold – to mark the 25th year of the Scooty. TVS Scooty Pep+, is much more than just India's No. 1 economical scooter catering to over 4.5 million customers. In its journey of 25 years, it has always evolved to stay relevant to its purpose of being the most viable mobility option for the New Age Indian women, making their commute affordable, comfortable, safe and fun. A TVS Scooty is passed down in the family and seldom resold, this is a measure of love that the brand has enjoyed. We are humbled and grateful to the generations of proud TVS Scooty owners, who built this brand to its iconic status, and made it synonymous with female mobility in India. To keep up with the safety norms, the TVS Scooty now comes equipped with Synchronized Braking Technology (SBT) – TVS' tag for Combi Braking System (CBS) – across the range. The TVS Scooty PEP+ is powered by the 87.8 cc Ecothrust engine that churns out 4.9 PS of power and 5.8 Nm of torque. It comes equipped with best-in-class ground reachability, telescopic suspension, mobile charger socket, side stand alarm, under-seat storage hooks, DRLs, an open glove box and TVS's patented ‘Eazy’ Stand technology. The two new colour options join the existing range that includes Frosted Black, Vivacious Purple, Nero Blue, Nero Brown and Princess Pink. The TVS Scooty range includes the TVS Zest 110 as well, which comes with the 109.7 cc CVTI engine that can propel it from 0 - 60 km/h in 11.1 seconds. The TVS Zest 110 holds the record for being the first scooter to reach Khardung La.